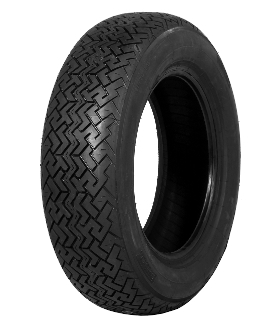 The 175/70R13 is a popular tire for cars of the ‘70s and ‘80s. In 1968 low profile tires became the hot technology for tire manufacturers and as a result, car manufacturers were keen to take advantage of the extra grip that it offered. 155R13 was a popular tire at the time and a 175/70R13 was the low profile alternative giving a very similar overall diameter with the extra width of the 175mm instead of the 155mm. So you would find the Triumph Dolomite Sprint, or a Golf GTi using a 175/70R13 where the base model cars would come stock a 155R13 tire. For some time there has not been a period tire available in the size 175/70R13 at all. We are now fortunate that Pirelli have stepped up to the mark and produced the famous 175/70R13 CINTURATO ™ CN36 which is fabulous news for owners of Ford Escorts because this PIRELLI CINTURATO ™ CN36 tire was original equipment on their top sports cars such as the RS2000 and the Mexico.